1. How does light therapy actually work? 2. Is light therapy safe? Is the light UV free? Can I get burned by it? Will the light damage my eyes? 1. How often should I use this mask? How long do I have to wear it for? What happens if I miss a daily treatment? 2. What can I do while wearing the mask? Can I move around while wearing the mask? 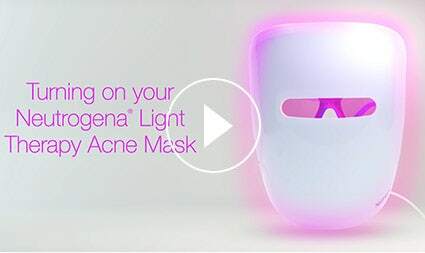 3. Who should use the Neutrogena® Light Therapy Acne Mask? What skin types is it best suited for? 4. My mask isn’t working. What am I doing wrong? 5. Why doesn’t the mask work on severe acne? 6. How do I get more sessions/treatments after my initial 30 sessions run out? What does the number on the Activator mean? 7. Why do I need to buy a new Activator after 30 sessions? Can’t I just replace the batteries? 8. Is it ok to share the mask? 9. Does the mask come in different sizes? 10. Can I use if I am pregnant? 11. What’s the step-by-step process? Do I still need to wash my face? 12. What happens if I need to end my 10-minute treatment early before the mask automatically turns off? 13. Does the mask work on all types of acne? Pimples? Blackheads? Whiteheads? 1. How do you use the product? 2. My device won’t turn on. Any tips? 3. How often should I use this spot treatment? How long are treatments? 4. What happens when the light stops working? Can I swap out for a new battery or does the product need to replaced when it runs out? How do I replace the battery? 5. Who should use the Neutrogena® Light Therapy Acne Spot Treatment? What skin types is it best suited for? 6. How do I know when my treatment session is over? 7. What are the beeps I hear? 8. How do I clean the device? Light therapy technology is safe and clinically proven to be gentle to skin. However, discontinue use if you experience any discomfort or skin reddening or discoloration lasting for more than 24 hours. The mask can be used on all skin types and treats mild-to-moderate inflammatory acne. • Make sure the Activator is fully plugged into the mask and no metal is showing. • Press and hold the button for a FULL second until the lights turn on. If you’re still experiencing issues, please call our Consumer Care Center at 1-800-582-4048. If you have severe inflammatory acne, we recommend you see a dermatologist. The number on the Activator is the number of sessions you have left. Once the counter reaches 0, disconnect and discard the Activator. Keep the mask, and purchase a new Activator (sold separately) for more treatment sessions. The Activator was designed to ensure that a consistent dose of light is delivered in each treatment. It provides a steady supply of energy over time, which has to be tightly controlled since the mask is a medical device. To do so, it has been programmed to power exactly 30 treatments. This device is limited to single-patient use. Please do not share the device with other persons. No. The mask is designed to fit most teens and adults. Do not use the Light Therapy Acne Mask if you are pregnant, may be pregnant or are nursing as the risks are unknown and have not been established. 2. Apply mask to face. 3. Turn on Activator by holding the button for a FULL second. 4. Use mask for 10 minutes. Mask will automatically turn off after 10 minutes. 5. Remove mask once lights turn off. 6. Follow your normal skin care routine after mask usage. You can turn the mask off at any time by pressing the Activator button. This mask is clinically proven to treat and reduce many types of pimples including blackheads, whiteheads and red inflammatory acne. 1. Remove battery tab from bottom of device or it won’t power on. 3. Press and hold the power button for a FULL second until it beeps once to begin your treatment. 4. Treat for two minutes. Device will automatically turn off after two minutes. The device will beep twice to let you know your treatment is over. 5. Use three times per day until the pimple is gone. For continued use, just replace the AAA battery by using a Phillips head screwdriver. Please ensure the battery tab is removed from the bottom of the device and that you press the power button for a FULL second until the device powers on and beeps. Rapidly clicking the device won’t turn the power button on. If that doesn’t work, try changing the battery. If none of the above turn the device on, please give us a call. We recommend using this device three times per day until the pimple is gone. Treatments are two minutes. Product will beep twice and automatically turn off once treatment is complete. 4. What happens when the light stops working? Can I swap out for a new battery or does the product need to be replaced when it runs out? How do I replace the battery? Device is powered by one AAA battery and not limited to battery life. You will know your battery is low when the device flashes/beeps three times after pressing and holding the power button. For continued use, just swap out the battery by using a small Phillips type ‘O’ screwdriver to remove the bottom white cap. Then, pull the silver casing away from the device to access the battery. Follow the directions on the device to place the battery in the right orientation. Once battery is replaced, place the silver casing back on the device. It is important you line up the notch of the bottom white cap to the corresponding hole on the device and screw the white cap back on with your Phillips head screwdriver. The smaller of the two notches needs to align with the front side of the gray casing that has the Neutrogena® logo on it. The spot treatment is used to treat inflammatory acne and can be used on all skin types. It’s portable, so you can use it anytime, anywhere. The product will automatically turn off and beep twice. Treatments last two minutes. One beep indicates the device is turned on. Two beeps indicate when the treatment is over. In addition, the device will automatically turn off once the two-minute treatment is over. Three beeps indicate low battery, so please change your battery. Clean the outside of the device whenever it appears dirty. Moisten a soft cloth with isopropyl alcohol, and clean the head of the device after each use. 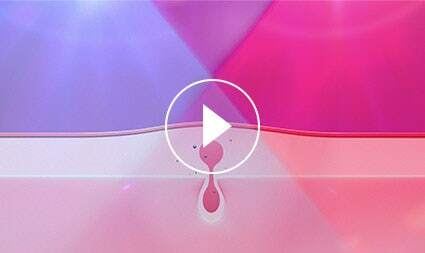 Do not get water or liquid inside any part of the device.